Sign Painters is about the people, practices and art of sign painting and hand lettering. 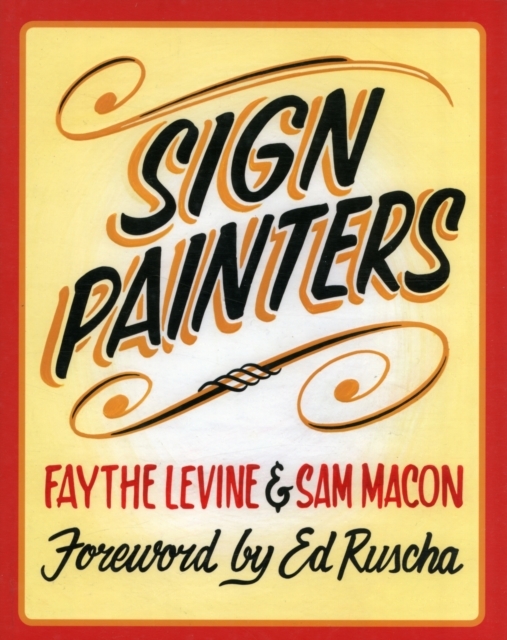 The book is comprised of transcribed interviews and images Faythe Levine and Sam Macon collected over two years of filming with working sign painters across America. The conversations, ruminations and thoughts expressed by these working sign painters communicate the history, the current state, and the future of this oft overlooked trade. Though the book will be a great read for the sign painting community, the book is more directed at your average aesthetically minded citizen. Anyone interested in art, design, public space, community, etc. should find this book of value. Sign painting occupies an interesting cross section of art and commerce, design and utility, artistry and labor, and this book tells this unique story.